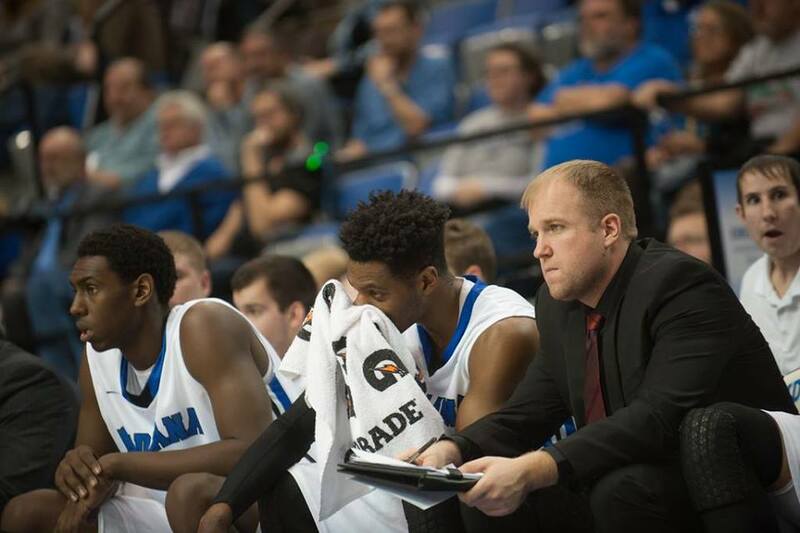 In Volume 2 of the series, we connect with James Schmeits, Director of Basketball Operations for the Indiana State Men’s Basketball team. FastModel Sports: Tell us a little bit about your coaching background. James Schmeits: I’m still relatively new to college coaching. My coaching career began when I helped with Supreme Court Basketball club in Lincoln, Nebraska. Then I was lucky to get hired as a Graduate Manager for Wichita State, where we made the Final Four in 2013 and began the next season 35-0. My primary duties included video work at WSU, then was able to go with an assistant coach that took the head coaching job at Bowling Green State to be his Video Coordinator for a season. Now I’m excited to be in my third year as the Director of Basketball Operations at Indiana State. FMS: Explain what being a Director of Basketball Operations is all about. JS: The DOBO job is all about paying attention to the details. Nothing is too small, because if you overlook something that goes wrong, that’s on you and only you. The most important thing is to think one step ahead and solve potential problems before they happen. Case in point, my first trip we were busing to Evansville, Indiana. When we got there I saw the turn to the hotel and went back to what I was doing. You know who didn’t see it? The bus driver, who turned at the next turn…which happened to be a dead end residential section. We ended up having to back our way out, taking at least 15 minutes. Let’s just say the coaches and players were not pleased. If I would’ve said something to the bus driver and communicated earlier about directions, that never would have happened. I repeat: no detail is too small. FMS: What are the main responsibilities of a DOBO, and what is a typical day like for you? JS: My main responsibilities include handling travel, equipment/gear, and monitoring academics. But this really is a trick question – there are no “typical” days. To really get a sense of the scope of the job, you have to look at differnt times of the year to see what the focus is. During the summer it is all about running camps and helping with July recruiting. In the preseason, it is all about getting gear ready, starting travel preparations, and prepping for our biggest fundraiser of the year, our golf outing. Once the season starts, making sure travel goes smoothly is the most important thing. After the season, it is about prepping for camps and summer workouts. Throughout the year I’m monitoring academics, replacing player shoes, making sure our players are where they are supposed to be when they are supposed to be, helping coaches with travel plans, and really taking care of any other random issues that need attention. The closest day I can think of to being normal would be a travel day when we are busing somewhere. First thing I do when I get to the office is email the hotel to get the rooming list. I have to go through it to make sure nothing is wrong on it, yes I’ve learned this the hard way. Next up is making sure food is ready to go for after practice on the bus. Then it is making sure our dinner reservations are all set for that night, which I’ve already started collecting orders for because we preorder everything. Once practice starts I’m constantly checking to see if the bus has arrived – yes, I’ve had a bus go to the wrong pickup point before. When we arrive at the hotel, I pass out room keys, tell everyone where our meeting room is, and start setting up for film. Once we get done with film we hop on the bus and head to dinner. When we get back from dinner, the first thing I always do is try and track down my bag. Because at that point I have no idea who grabbed it or where it ended up. Then I double checking everything for the next day, and crash for the night. Wake up the next morning, rinse, and repeat! FMS: What do you enjoy most about being a DOBO? JS: One thing I really enjoy is putting all the hard work into an event and seeing it go great once it happens. This happened this year with our Team Camp and Golf Outing. Both of them were the biggest we’ve ever had. Which is phenomenal but what most people don’t see is the amount of hours that go into it. They see the day of event and whether it runs smoothly or not. The amount of hours you will put into planning these events is staggering. There are plenty of sleepless nights, especially the night before. But to see your hard work pay off and to see them run smoothly knowing how much time you put into it…..man there is no greater feeling in the world than that. FMS: What are the most important things you’ve learned while climbing the coaching ladder. JS: Be humble, respectful, and work your tail off. You never know who is watching, so always make sure to leave a good impression on them. FMS: How has your mindset changed as you have moved up in your career? JS: I’ve become more appreciative of everything I have. Early on in my career, I took a lot of it for granted. Having now spent a few years in the coaching business, I’ve learned it can all change very quickly. You have to learn to deal with the ups and the downs. So if you’re fortunate to be in a good spot, enjoy it, but be appreciative of everything you have. FMS: Looking back now, what do you wish you knew when you started your coaching career? JS: Luckily for myself, I was a bit older when I got into the business, so most of my young and dumb tendencies were long gone. One thing I still wish I did a better job of is listening. You can learn something from anyone, regardless of how old they are, or how many years they have been in the business. FMS: What advice do you have for young coaches wanting to advance their careers? JS: This question goes back to what I’ve learned while climbing the coaching ladder. Be humble, respectful, and work your tail off. Everyday is a job audition, whether you know it or not. FMS: How has technology helped you advance your career, and what role does it play in being a DOBO? JS: Having an understanding of basketball technology and how programs like FastScout and FastDraw work has sped up my career path in this industry. Technology is the fastest way into the coaching industry. I grew up using computers and software, and I took that knowledge for granted. What I didn’t realize is not everyone in basketball has the extensive technological knownledge base I do. I put that skillset to good use once I got into the business by mastering programs by FastModel and others. This was a huge advantage for me, and will continue to be a valuable asset that helps me grow and ascend the coaching ladder. FMS: Describe the importance of networking with other coaches. JS: My future goals are the same as many coaches in the profession, to become a Head Coach someday. Obviously, in order to do that, first I need to develop into an assistant coach, continuing to work and learn the nuances of that role to prepare myself for when a head coaching opportunity when it arrives. FMS: What is your favorite coaching memory so far in your career? JS: Being a small part of Wichita State’s Final Four run in 2012-13 will always be one of the highlights of my career. To be involved in something so special that early in my career has never been and will never be lost on me. One thing I will never forget is the feeling I got when our intro video was played in front of thousands of fans inside the Georgia Dome. I’ve never had goosebumps like that in my life and it is a moment I will hold on to forever. You can follow James on Twitter @schmeits06.